Technology | Bell Tech Inc.
From ship to shore, from the arctic circle to the tropics, Bell Tech is on the forefront of innovative recovery and restoration technology. Our cutting edge technology and processes have been realized through years of strategic research and development work. 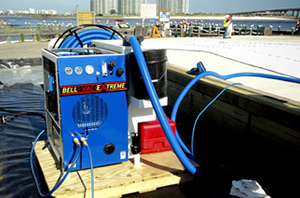 The Bell-Vac Extreme is a state of the art design capable of 100% capture and recovery of contaminants. BellTech uses EPA approved Orange-Sol products which leads the industry in environmentally safe, non-irritating removers. BellTech Skimmers offers several features that sets them apart from an average skimmer.